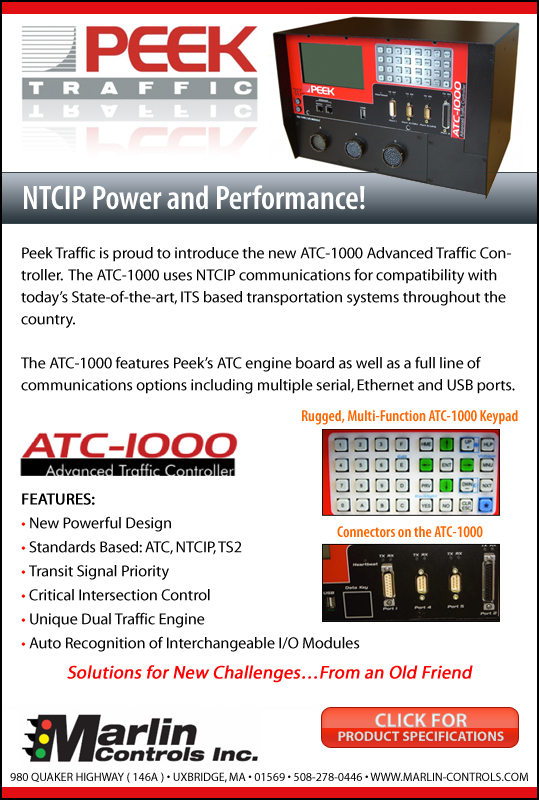 The ATC-1000 is a brand new, powerful Advanced Traffic Controller (ATC) designed for ease-of-use and easy adaptability. Features Peek's latest ATC engine board, a big bright display screen and a full line of communication options including multiple serial ports, multiple Ethernet ports, a USB firmware and memory port, and a range of I/O and D modules. Uses NTCIP communications natively and is compatible with IQ Central.